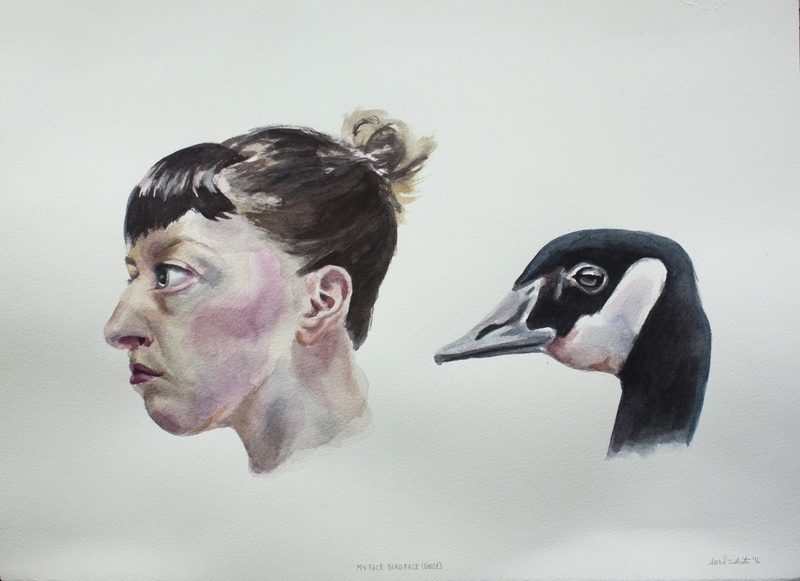 My face, bird face is a series of watercolours, which investigate the ways we anthropomorphize animals through our own impersonation of them. 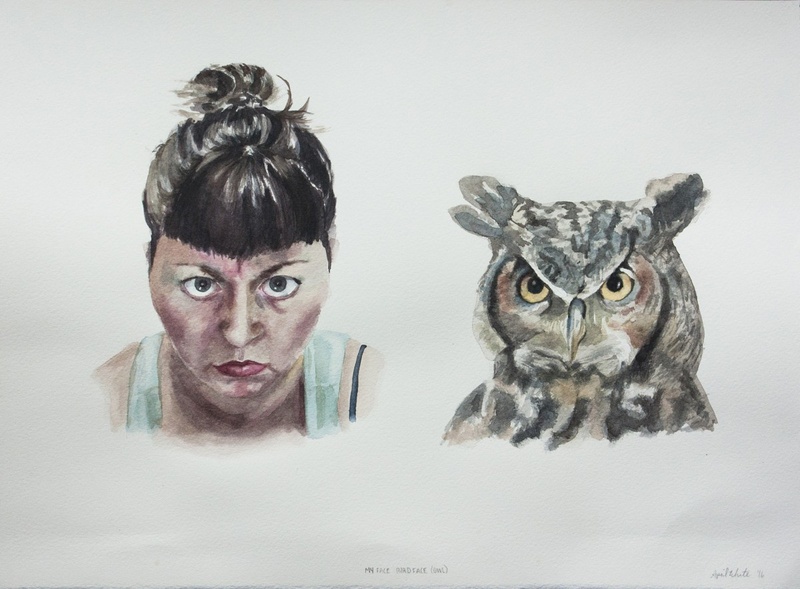 In this series, birds are depicted with their natural expressions while I conjure emotions and contort my face to look like them. 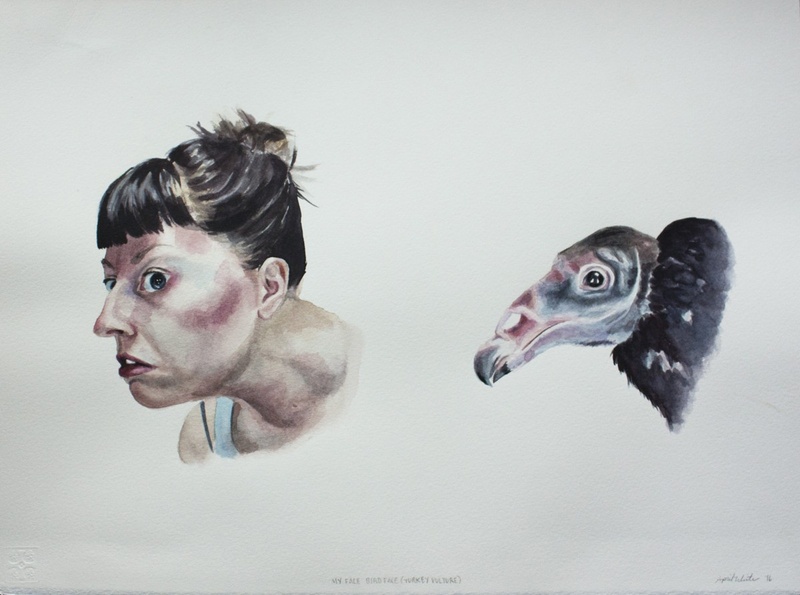 The birds I have painted (turkey vulture, hawk, owl, and goose) all have intense, large eyes that might cause us to imagine that they are angry, curious, shocked, paranoid, etc. My “bird face” performances pick up on these emotions and result in forceful bizarre expressions on my part as well as an imposition of human emotions on an animal that doesn’t experience our complex consciousness. This work is also a self-examination. 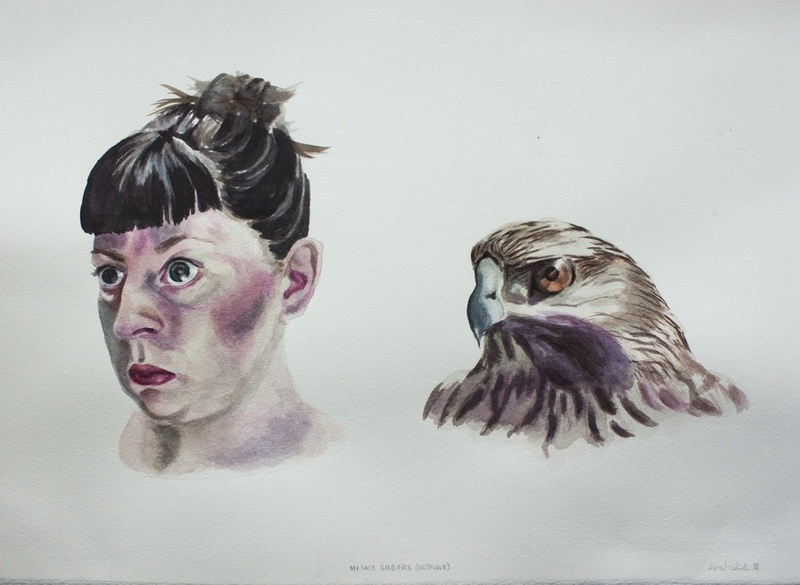 Attempting to look like a bird and continually failing has been a way for me to analyze the experience of the inner self versus the outer self, or how we feel versus how we look. We may strongly think for a second that we look like a bird while we contort our faces and bulge our eyes, yet when we look in a mirror, we really just look like ourselves with an odd expression. This is a consistent failure that we can laugh at.